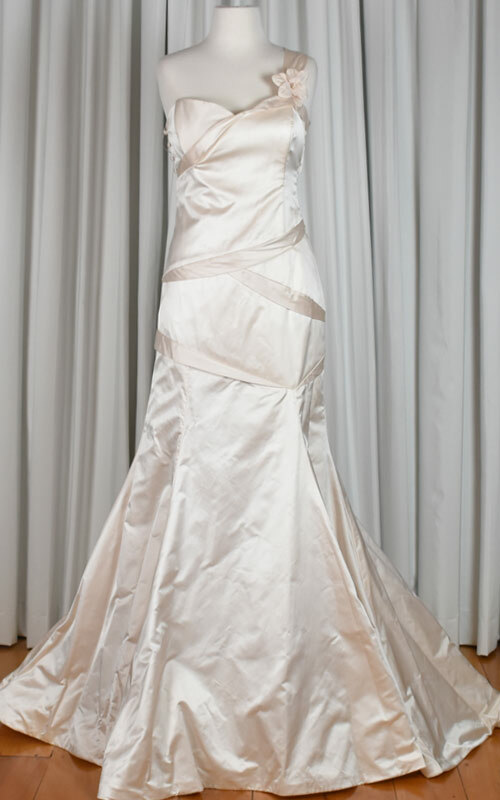 This exquisite bridal gown features a single strap with a mermaid silhouette. 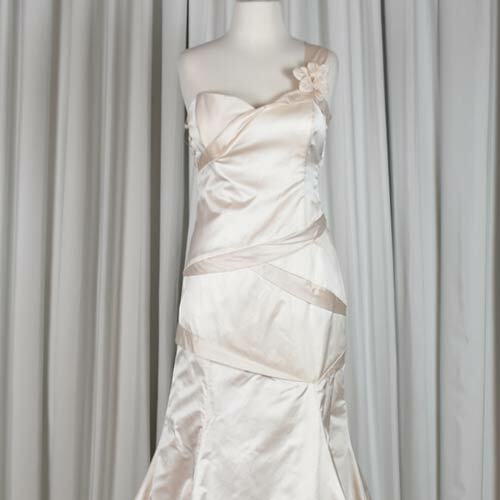 It’s made from a gorgeous soft pink silk duchess satin. 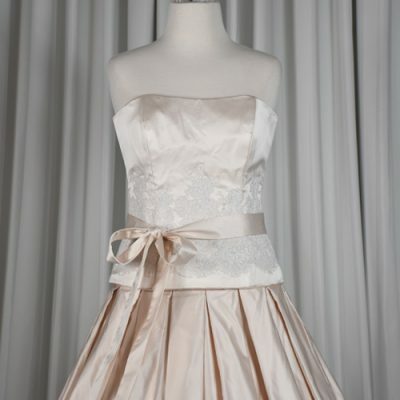 This non traditional show stopper is perfect for a bride who wants something a bit different. The asymmetrical panels accentuate the womanly curves with adding a stunning detail. It has a single strap which is embellished with a gorgeous hand made silk rose which is easy to remove if not desired. The skirt has an elegant train. 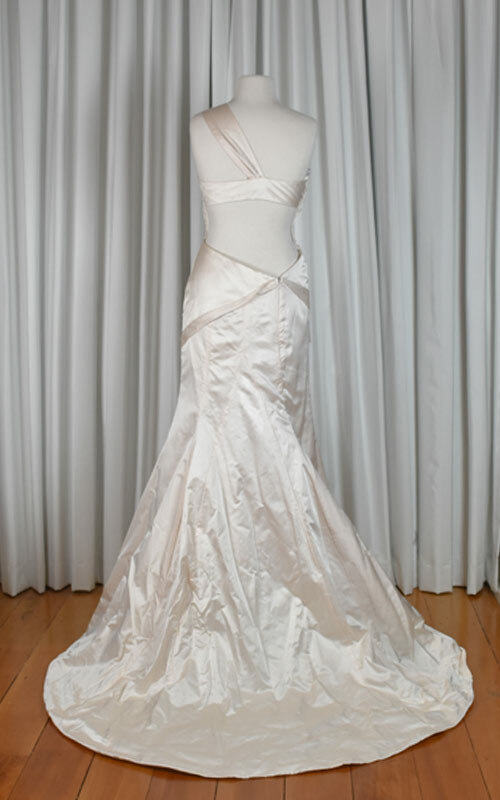 This gown is fully lined lined in luxurious silk. 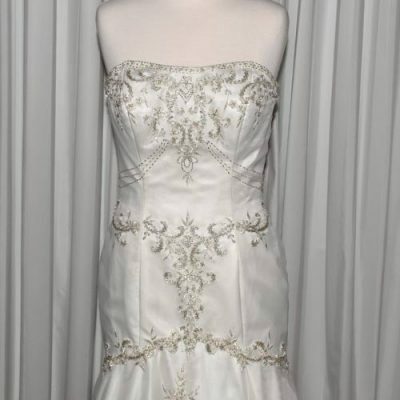 This is a design from our Couture collection and is in excellent condition and beautifully handcrafted. Because this design is made entirely of silk, it is nice and light weight. Take advantage of our great sale prices as this deal won’t be repeated again nor will it last.